If you didn’t get tickets to the RHS Chelsea Flower Show this week, there’s still a chance to enjoy some floral delights free of charge in the surrounding area! Chelsea in Bloom is back for 2017, with the streets of Chelsea coming alive with beautiful floral installations, extending the RHS show onto the streets of the neighbourhood. This year’s event will see the area transformed into a menagerie of wildlife for this year’s ‘Floral Safari’ theme. The 51 competitors will be inspired by exotic animals and far-flung destinations to create displays made of fresh flowers across the area. There will be complimentary rickshaw rides through the area for visitors to enjoy displays, plus free guided walking maps to all the highlights. 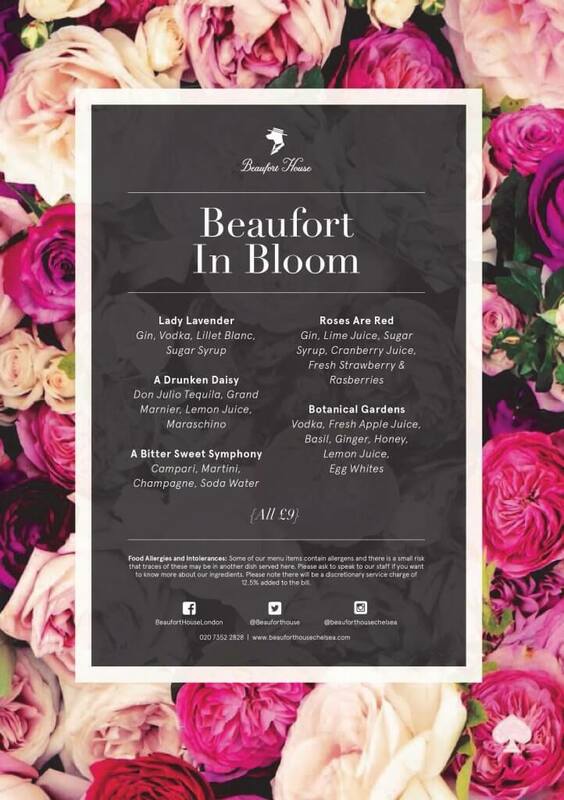 Why not join us at the House where we are celebrating all things bright and beautiful with our own stunning botanical displays and delicious floral-inspired cocktail menu.